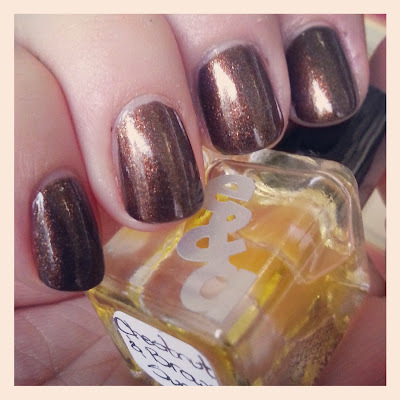 It's the last day of 2013 and the final post of my nail polish year in review. 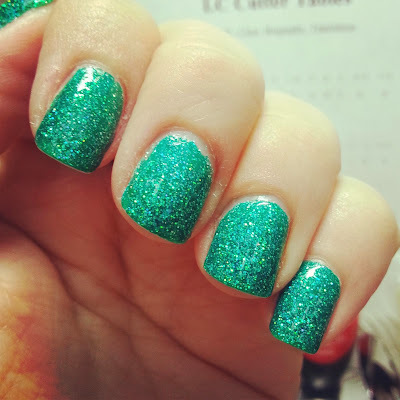 This year my nail polish collection exploded (mostly thanks to Reddit) and I made some amazing friends through the various nail polish communities. 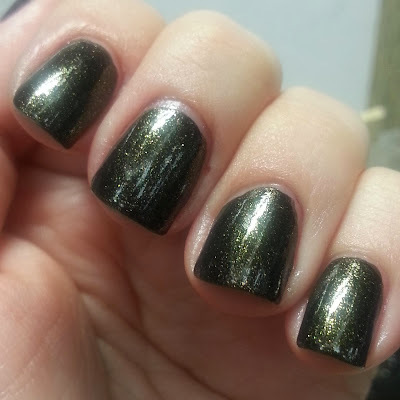 I drooled over a ton of polish but only bought a fraction of what I loved. 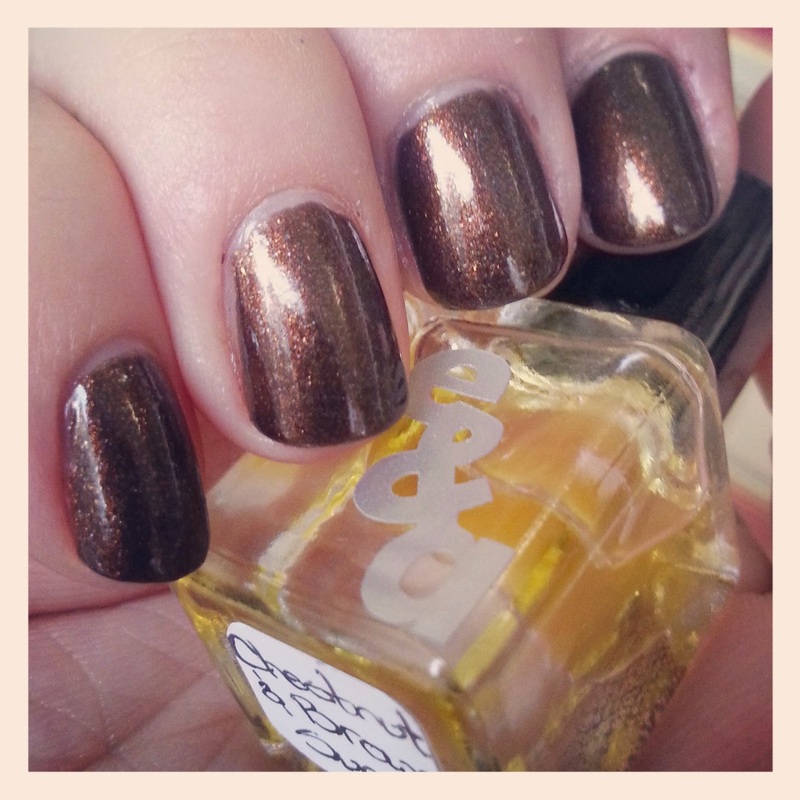 I think there were very few duds this year but the following three polishes blew me away. The colours are amazing, the formulas were great and the results were breathtaking. 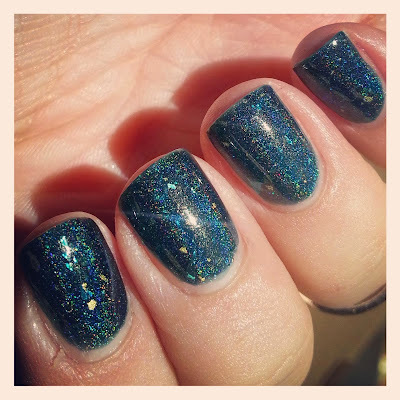 Here are my top 3 polishes of 2013. #3. 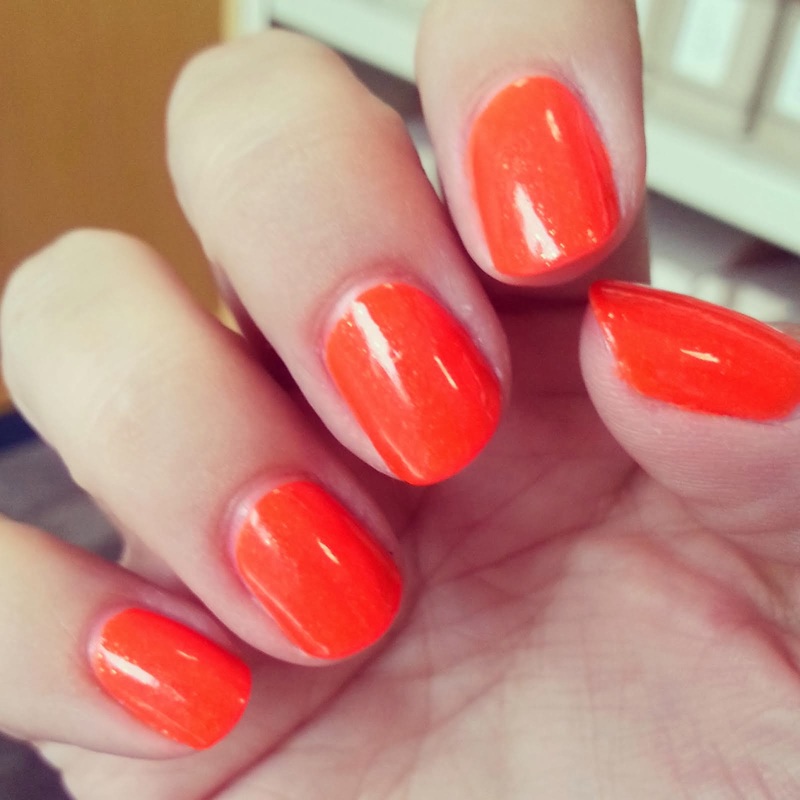 KBShimmer 24 Carat Bold - this is the perfect orange as far as I'm concerned. The application and formula were flawless and the colour is so amazing! My picture shows it worn with top coat but it dries to a satin matte and has gorgeous gold shimmer. 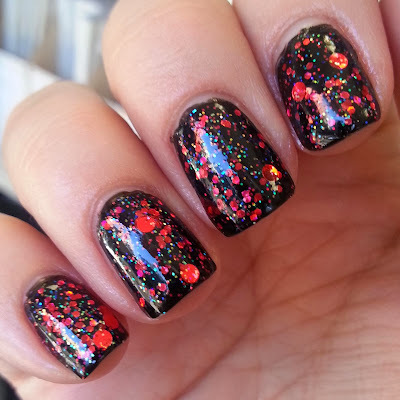 An amazingly fun polish to wear! #2. 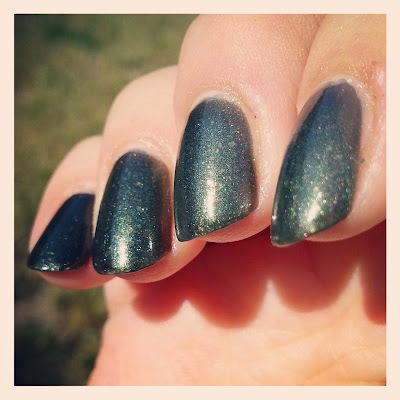 Emerald & Ash Red Shift - this was a surprise favourite for me this year. I'm not a huge fan of red polish but I've totally fallen for burgundy this year. It was a sunny day when I received this in the mail and when I opened it the flash and sparkle coming off this bottle made me gasp. 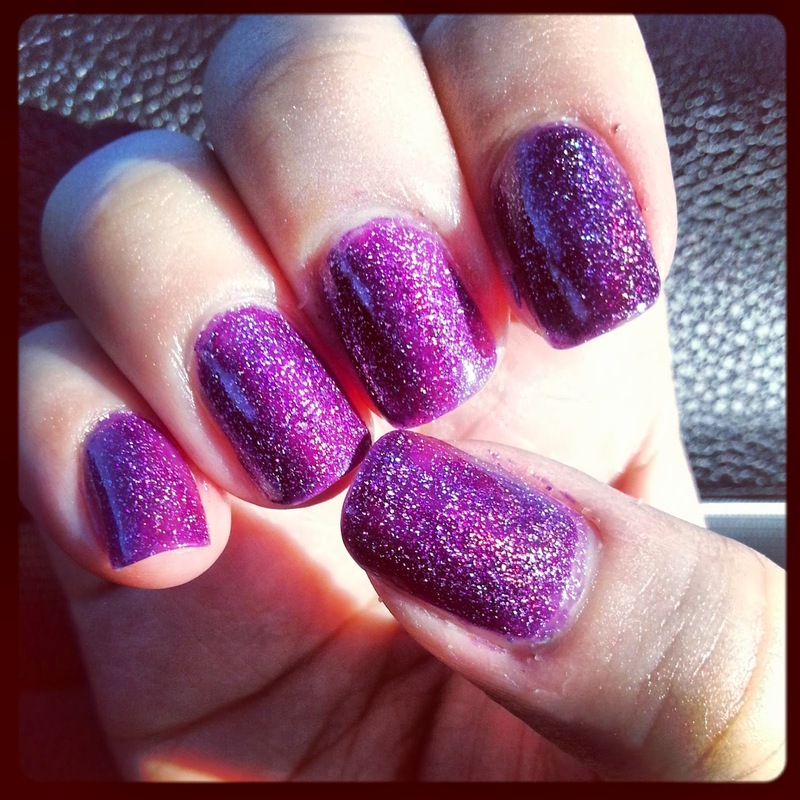 The glitter combination is understated and perfect and the application was fantastic! Ashley and Nate did a great job translating Hubble photos into polish - tiny galaxies on your nails. 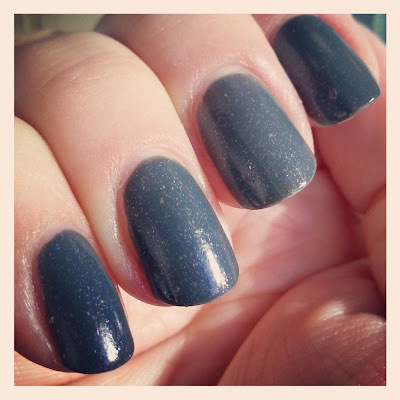 #1 Wingdust Collections Steel Town Girl - I fell in love with this when Stephanie posted a prototype swatch photo on Instagram. I watched for release dates like a hawk and ultimately missed out on restocks a whopping FOUR times! I never would have thought to look at international stockists but a good friend brought up the idea of a group order from Femme Fatale Cosmetics from Australia and I was immediately on board. It ended up costing me more but it is finally mine and I LOVE IT! 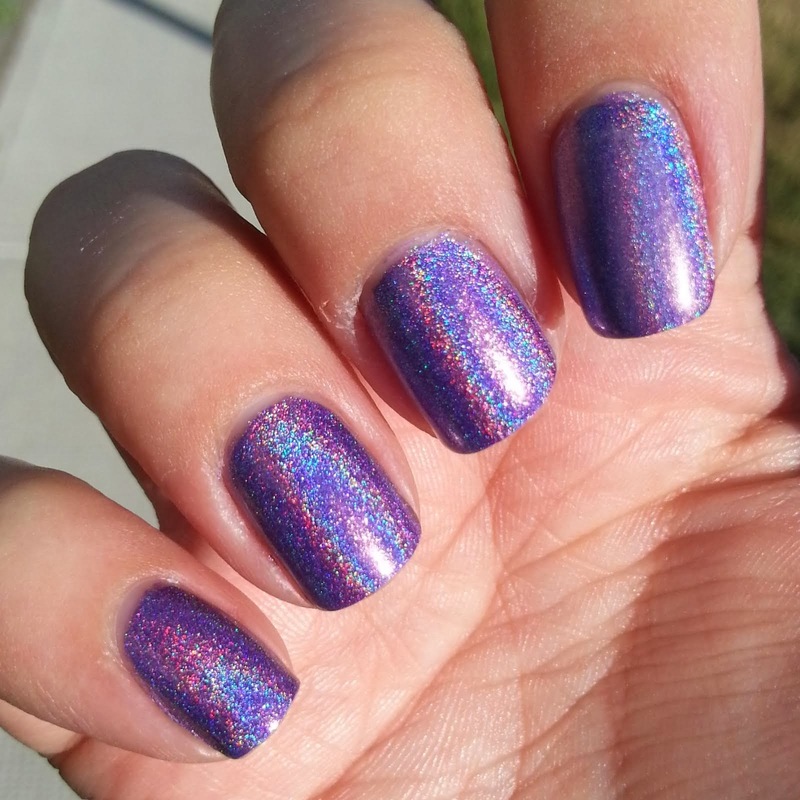 The holo base is perfect. The iridescent shards are perfect. The gold leaf is perfect. 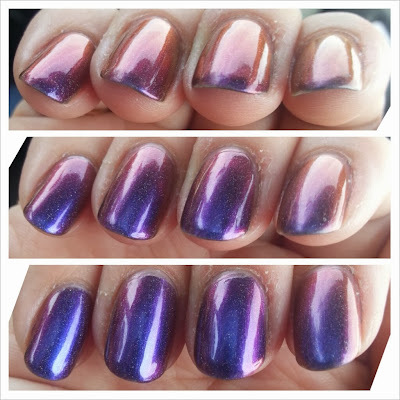 The combo is easily one of the most unique polishes released this year and one I will cherish always. As for predictions for 2014, I think we will see a lot of purple with Radiant Orchid being the Pantone Color of the Year. 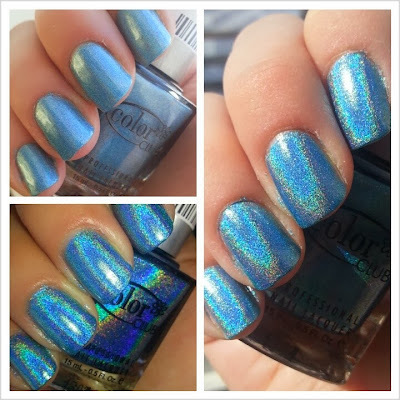 Holo and duochrome were popular all year but really exploded toward the end of 2013 and I think that will continue into the new year. 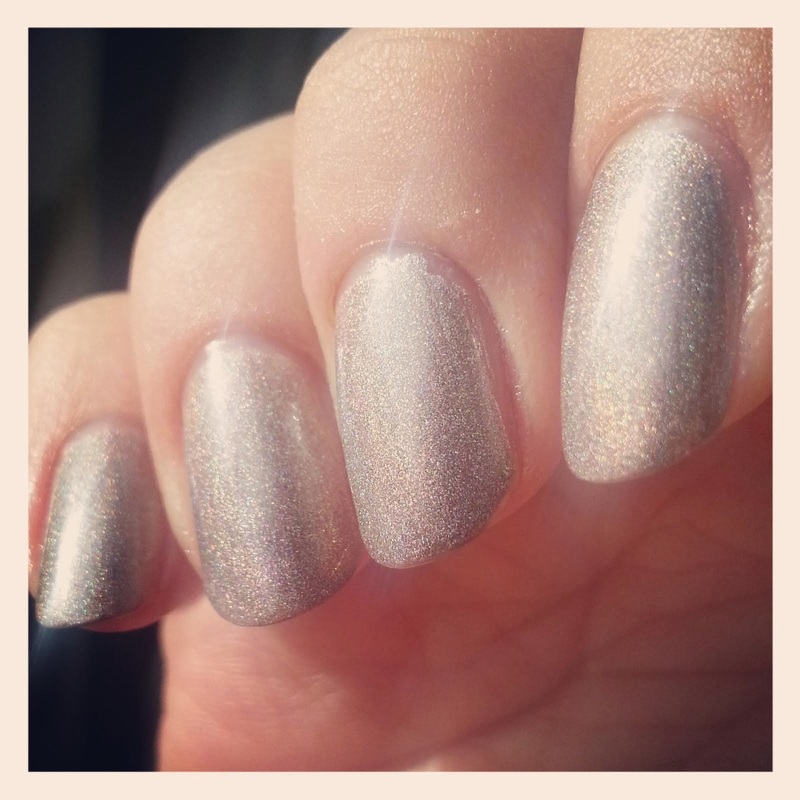 I also think we will see a lot more shimmer and unique creme colours. 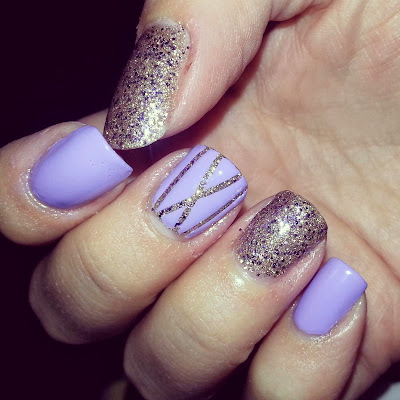 It seems like people are feeling a bit of glitter fatique and looking for something a little simpler but still beautiful. 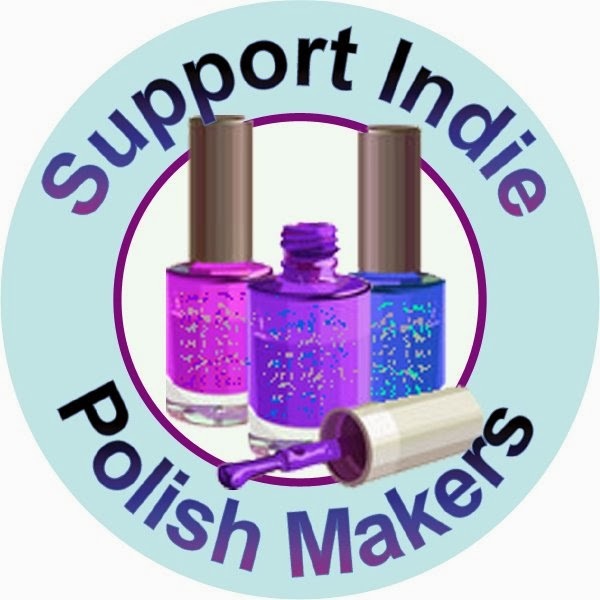 Finally, I think that the indie polish world will continue to grow and flourish. Will Nerd Lacquer return full time? We can cross our fingers. 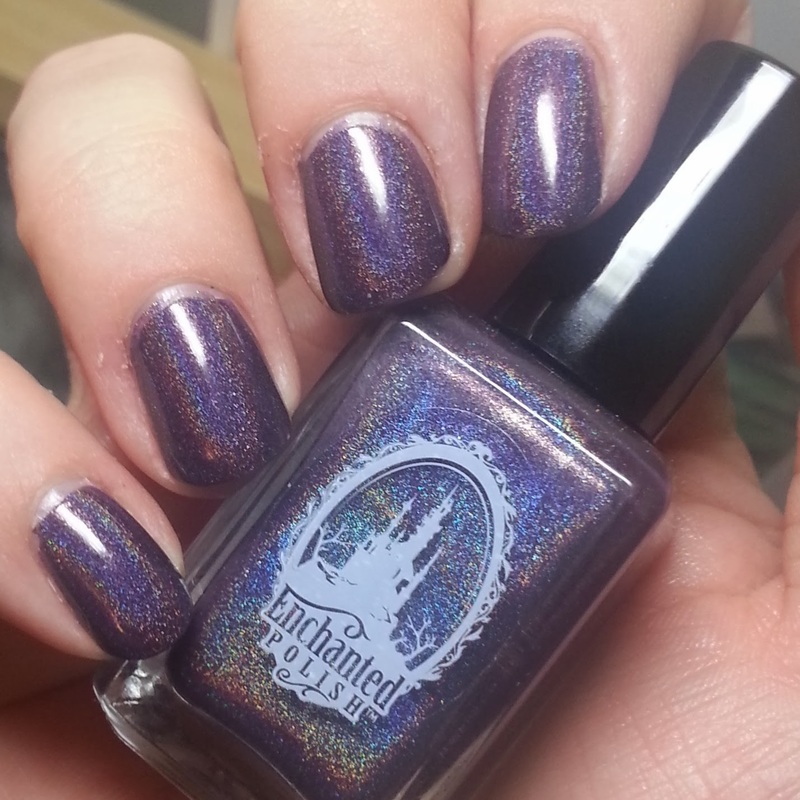 Will Enchanted Polish restocks become a little less insane? Doubtful. 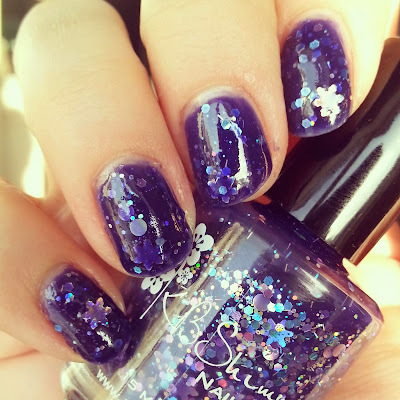 Will restocks on Llarowe be less crazy-making with the new website that Barbra and her husband (of I Love Nail Polish) are building? We can hope. My brand to watch for 2014? 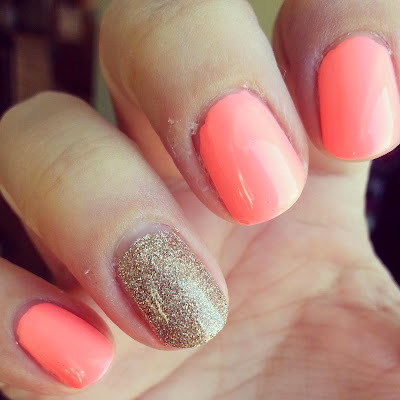 Pahlish. I've been loving their monthly combos and the colours they've been releasing. Happy New Year and here's to an amazing 2014! 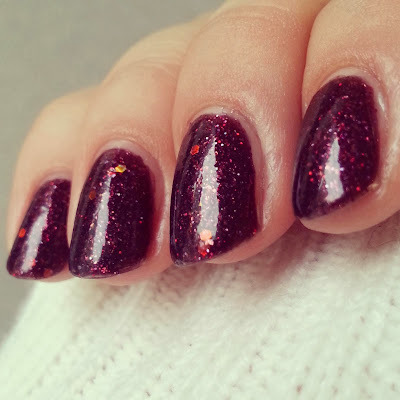 Which polish was your favourite this year? 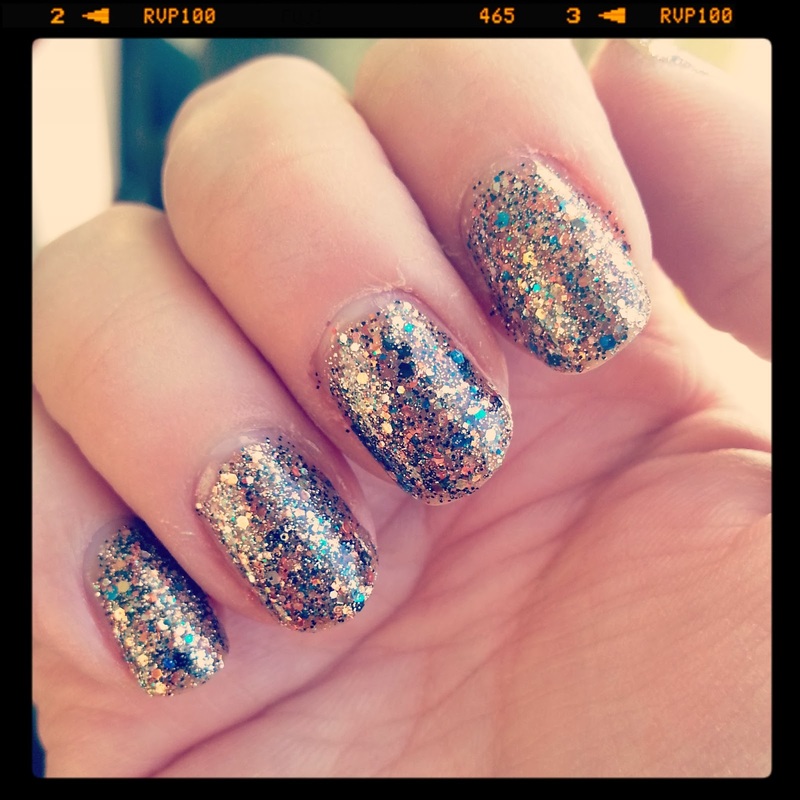 What are your predictions for the nail polish world for 2014? For the third installment of my year in review series, I am reviewing my top 3 brands of the year. These are the brands that I purchased the most, reached for the most, and consistently impressed me with colour and formula. Honourable Mention. 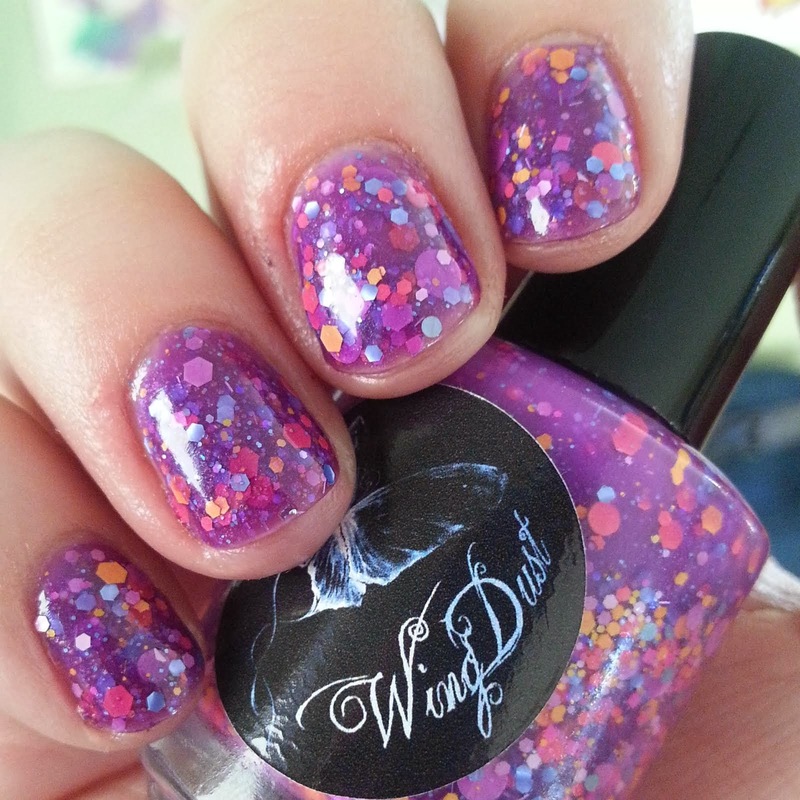 Wingdust Collections - Stephanie came out with some great stuff this year including an instant best seller/impossible to get colour. She doesn't shy away from glitter and her combos are always perfect. 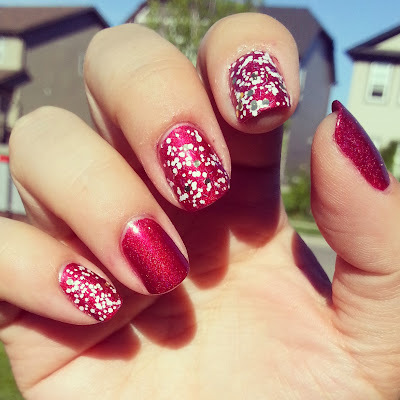 I'll always have a soft spot for this brand because it's Canadian and I provided inspiration for one of her polishes this year. :) Here are my two favourites from this year. #3. 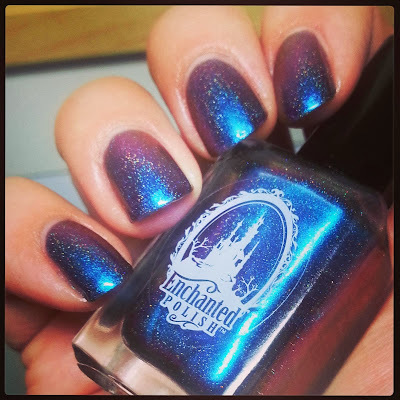 Enchanted Polish - most people who collect indie polish have heard of Enchanted Polish and the almost mythical status of their polish. They are expensive and difficult to procure and the after sale market? Forget it. The restocks are notoriously crazy and people get full on fanatical about their monthly releases. It's all for good reason - the colours are super pigmented, flow on the nail like butter and have incredible sparkle/shift/whatever the intended effect may be. I was first introduced to this brand when a dear friend sent me a bottle and it was love at first brush stroke. 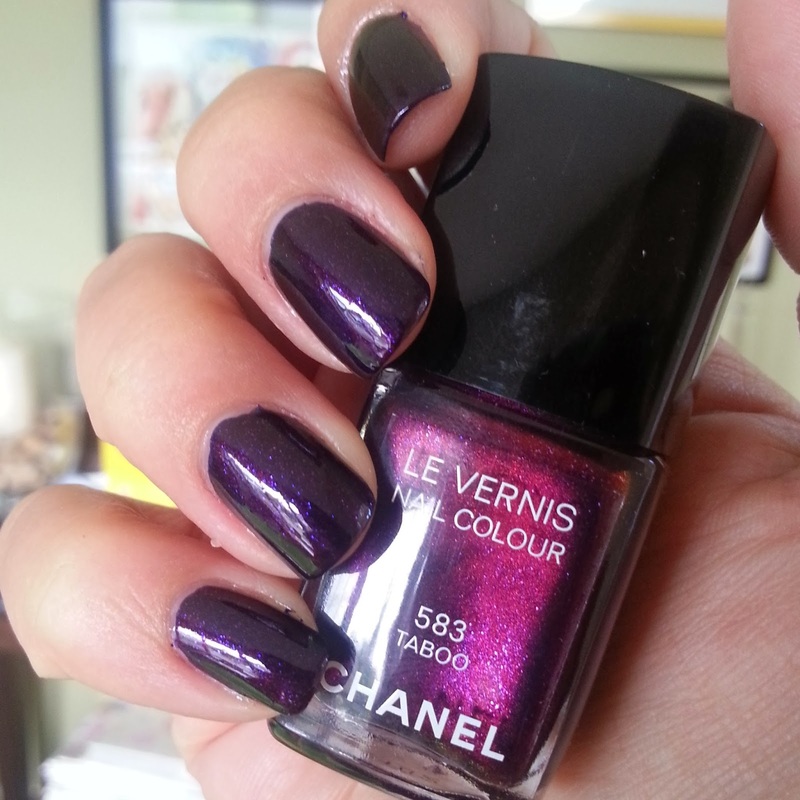 I've had good luck with Nail Polish Canada's Canadian only restocks along with some incredibly generous friends. Here are my top four this year. #2. 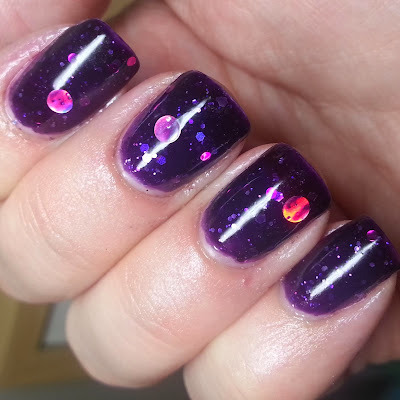 KBShimmer (Canadians can purchase from Harlow & Co.) - KBShimmer had a really stand-out year with several amazing collections. They balance the glitter bombs with more understated shimmers and mattes and have polish in every colour imaginable. This year's Christmas/blogger collaboration collection ﻿was a home run. I wanted to purchase every single one and was only held back by my wallet. Here are my favourites from this year. #1. Emerald & Ash - some may call me biased with this choice because I consider Ashley (the lovely owner of E&A, along with her husband, Nate) a dear friend. 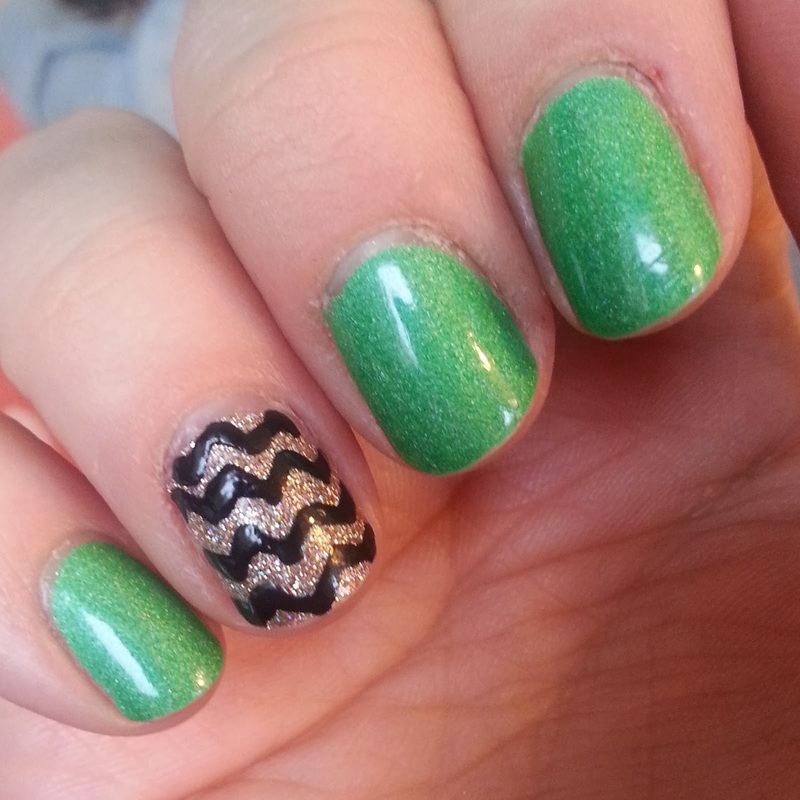 That said, the lady makes some amazing polish. From her debut Armed Forces collection, to Deconstructed Daisy which is in honour of her mom, to her stunning Hubble collection, I love them all! The formula is great, the collection inspirations are unique and the colours are spot on. Also, the thing that pushes Emerald & Ash to the top of the proverbial polish pile is her cuticle oil. Seriously, guys, it's AMAZING! I have a bad habit of picking my cuticles and this stuff repairs a good majority of the damage with just one use! Plus, the scents are incredible and not at all artifical or cloying. My favourites are Chai Tea, Pumpkin Apple Butter, Chestnut & Brown Sugar, and Blood Orange. 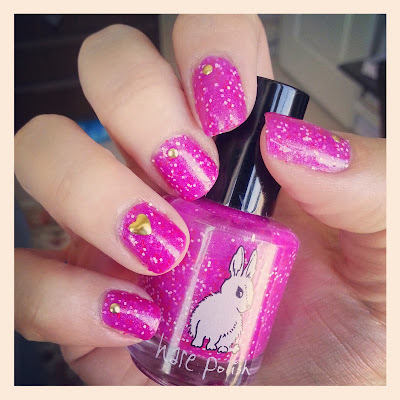 Do your cuticles a favour and go buy some NOW! Plus, it certainly doesn't hurt that Ashley is a doll and probably one of the most generous people I've ever had the good fortune to meet. Here are my favourites from the year. Which brands stole your hard earned money this year? On to the second installment of my four part, year in review series. This post will highlight 10 indie polishes that really captured my heart and dazzled my eyes. These all had good formulas that were easy to work with and had great pay-off. Again, I will list these in alphabetical order. What were your favourite indie polishes this year? This has been quite a year for nail polish. 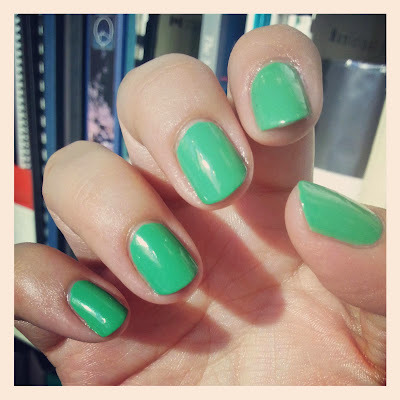 Although market numbers indicate that nail polish sales declined in 2013 that is certainly not the case in my circles. If anything, sales are booming BUT more in the indie sector than the retail market. I've only been immersed in this community for a year but, from what I can tell, 2013 was THE YEAR OF THE INDIE. 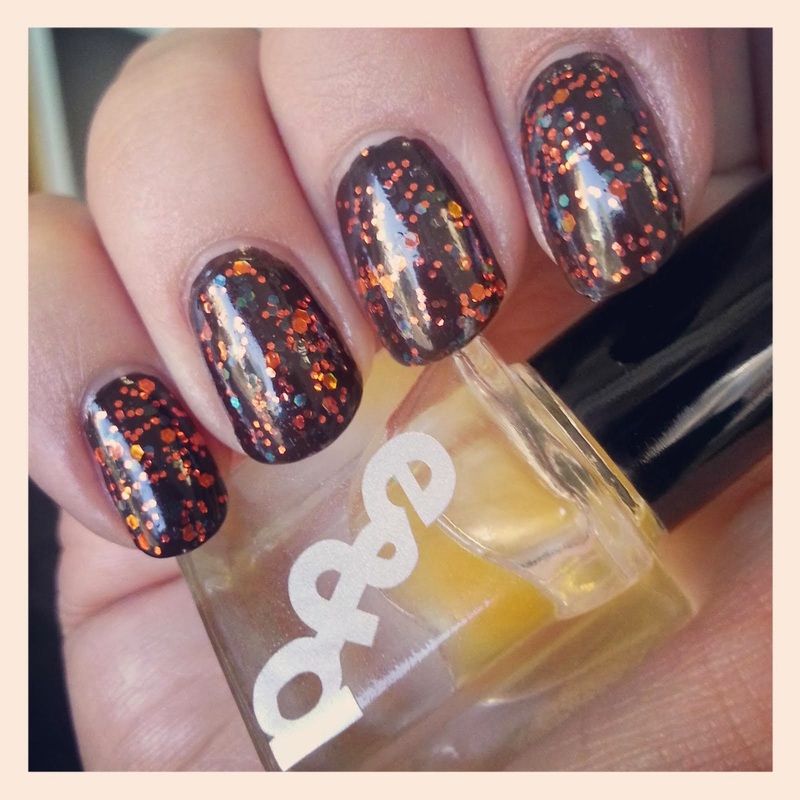 So many amazing brands popped up on the radar and I got to try a lot of amazing polish. 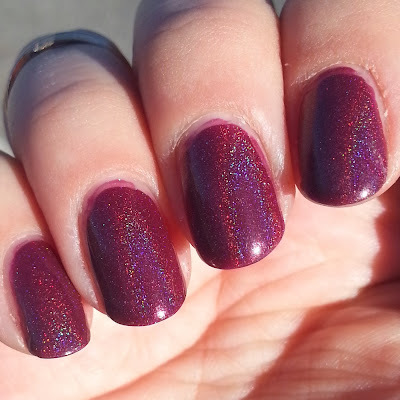 Without further ado, here are my top 10 retail polishes for 2013 (in alphabetical order). 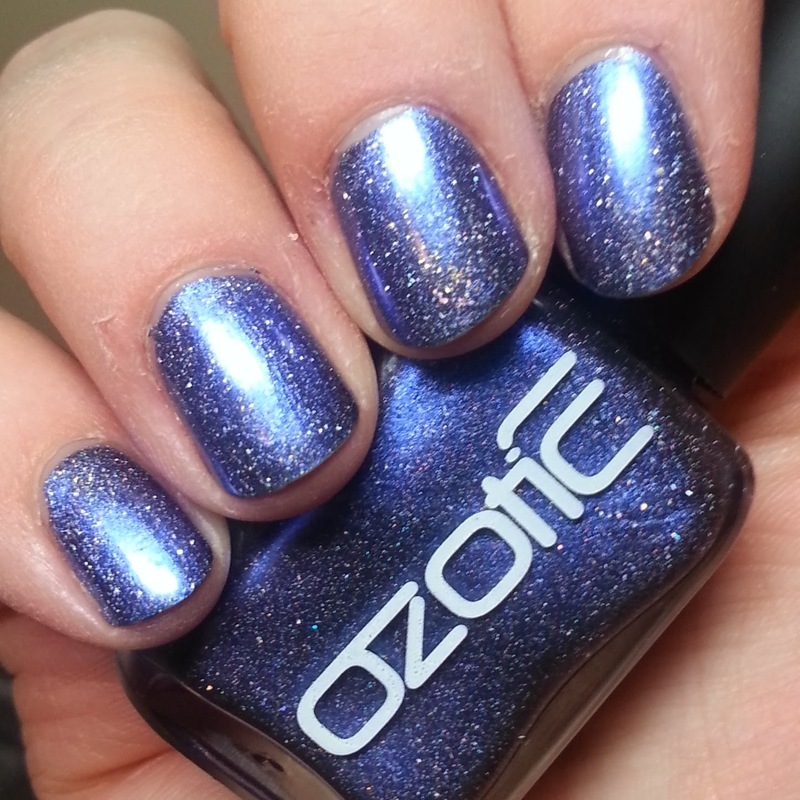 What were your retail favourites for 2013?